The steel industry is vital in all aspects of our daily life. The steel industry is vital in all aspects of our daily life. Steel is considered a significant material used for building’s structure, bridges, industry, rail-tracks, vehicles, and many other sectors. Steel manufacturing is the largest user of lime products. The Lime product is used as a fluxing agent in electric arc furnaces and basic oxygen furnaces. Lime removes impurities (silica, phosphorus, sulfur) from the steel in process. The lime fuses with the impurities to form slag, which separates from the steel and is removed. This process usually increases the quality of the steel. As for the refractory of the furnaces, Lime is also used to enhance its life span. Lime products containing magnesium are used to help to regenerate the refractory materials in the furnaces. Also in converting iron into pig iron. Powder or coarse form limestone (with low sulfur and alkali content) is used together with powder form lime to convert ore into pig iron in the blast furnace. The pig iron is later processed into steel. 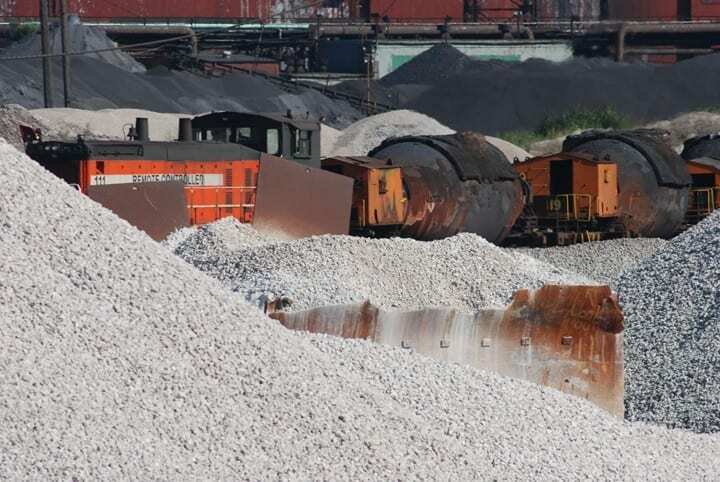 In addition to the extensive specific use of our lime and limestone products throughout the region, SLIC is continuing to develop and supply an as-per-request blends of these products. Our goal is to provide a solution that will support our steel customers to score a success in a highly competitive steel market, maximizing their production and helping them to meet more-stringent quality requirements.